FishPac is pleased to announce that we have recently completed successful trials of Atlantic Salmon (Salmo salar) Smolt. Utilising existing packing density numbers with local Tasmanian hatcheries, we have been able to significantly increase these densities for localised ground transport, as well as derive initial numbers that indicate live deliveries of Smolt will be available in the future. FishPac has received repeated requests from around the globe for live salmon deliveries, in both a juvenile and adult state, and we’re excited to be able to report on an industry first trial to quantify the potential of transporting Atlantic Salmon Smolt. Against all expectations, the CO₂ build up in the water declined over the trial period. 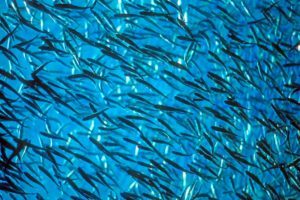 This trial indicates packing densities of Smolt on 6 – 8 hour trips can be significantly increased, and will open the door for Smolt and adult size animals to be exported in the future. FishPac’s Marine Biologist, Peter Rankin noted, that the low concentration of CO₂ in the water during the trial was unexpected, however not that surprising due to the use of FishPac’s newly released steel diffuser system. The system diffuses a larger bubble than traditional diffuser options and is achieved without the loss of any dissolved oxygen in the water. Thanks to this larger bubble, the surface tension in the water is broken, thus helping reduce CO₂ build up in the water. Plans are now underway to conduct further trials with full size Salmon with an average weight of 1 – 1.5kg each. The FishPac system is regularly achieving payloads of 450 – 500kg of live product per shipment with many species around the globe and with this trial data in hand, we believe we can achieve significantly higher payloads for Smolt than what the industry is currently accustomed to – potentially reducing road freight requirements by some 50% or more. The end game is to see live Salmon air transport become a reality as an export business, which its currently not because of technological limitations. Although there are a multitude of issues that need to be addressed for this to occur, having the ability to transport the animal live, which is probably the most important aspect, is certainly something we are very excited by and are looking forward to the opportunities this presents. FishPac is currently preparing a report which will be made available to interested parties on application once it is available. 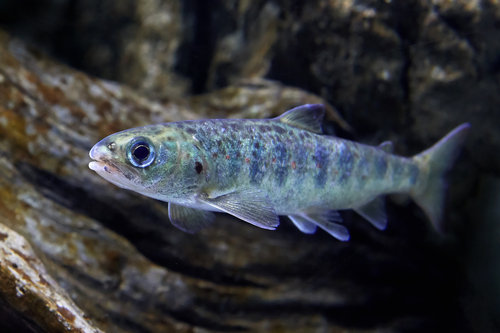 Ongoing trials on adult Salmon will occur in the next 6 – 8 weeks, and protocols for Smolt shipments is being finalised.